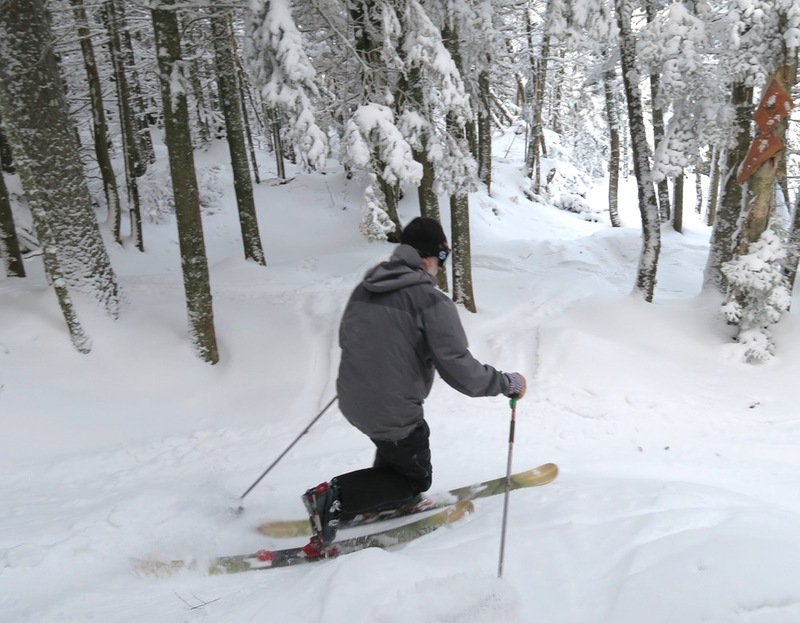 There was some good skiing this week in the Southern Adirondacks. Snow is still thin in the woods, but resistant and reasonably soft. Both natural and manmade snow quality was pretty good. Friday night we came in and got settled. I headed out to night ski the flatter, lower section of the Yellow Trail. The forecast for the next day was mixed, and I wanted to feel the natural snow under my skis, before it was altered by any funky weather. The snow was good, six or seven inches of fully formed, natural snow sat on top of a six or eight inch durable icy base. You could definitely turn. Kid stoke milestones included first ever runs on Uncas and Hawkeye. Uncas was groomed out and a cake walk. 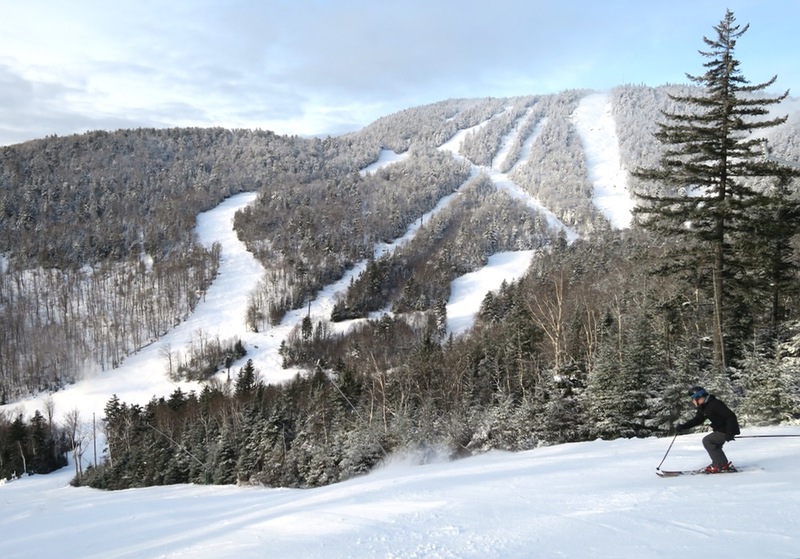 Hawkeye was a continuous run of edgeable, irregular snowmaking bumps loaded with skiers. Neve was extremely proud of conquering the Hawkeye headwall, and insisted on a repeat. On our second attempt, she was taken out from behind by a skier. She was a scared by the incident, but unhurt. I took it as a sign to head down Tannery and ski some easier stuff at the bottom. As we were riding up Topridge chair, Zelda says to me, with a bit of hesitation… “I think, I see, skiers, on Lies.” Plans were modified, a meetup time set, and off I went. In a scene from the bizzaro world, Patrol was manning the gate above the headwall, doing everything possible to convince the public to do the sensible thing and just ski on by. Those who failed to heed the warning faced an icy headwall. Further below were big boulders that were partially covered with some fantastic manmade snow. It was quite an adventure. On a normal North River cabin ski day I set the alarm for 6am. Often I wake up before that at five and start making coffee. At 6:30, I’d turn on NCPR and tell everyone to get up. This past Sunday I tried something different. At 6:30 I said “anyone who wants to ski at Gore today, it’s time to get up.” Nothing from Zelda. Neve came back with “I’m good.” Off I went, to the mountain, by myself. The weather was nice enough, warm, and it looked like the sun might make a hazy appearance. In line for the gondola I ran into EDeO and the gang, so I knew the morning would hold some kind of adventure. On Saturday from the Straightbrook Quad some of the more mellow trees looked skiable, in a marginal, anything goes at Gore, kind of way. On Sunday there were tracks everywhere. Some of them ours. After a fun morning I got separated from the group, but had the good fortune to run into Adrider83. Lies opened late morning and with heads up from a well placed source we were there shortly after they dropped the rope. 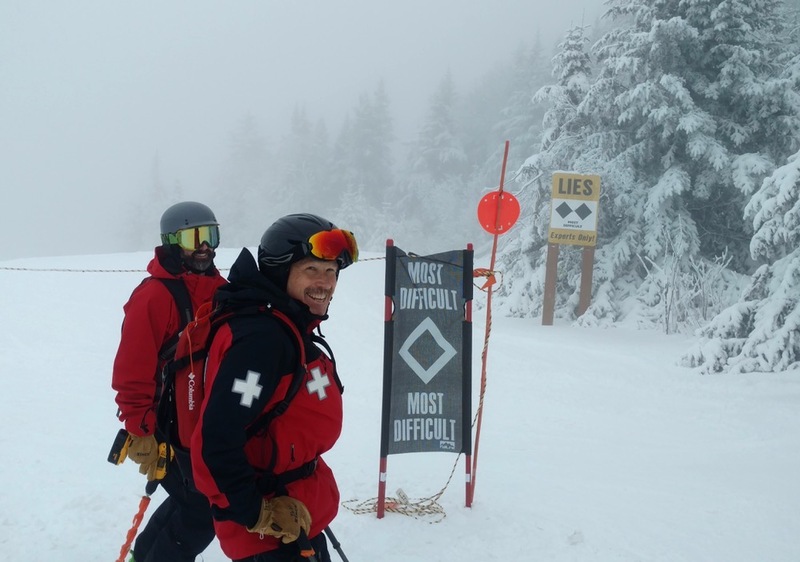 Coverage on Lies was significantly more complete than the previous day and there were no warnings from patrol at the top. Until a few years ago I skied all day, every day that I rode lifts. 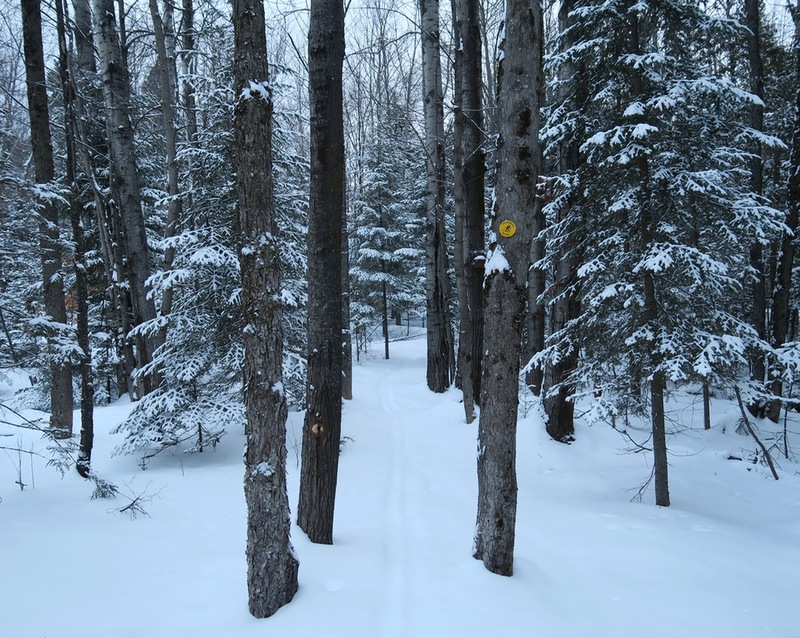 Now the pull of untracked nordic trails waiting for us back at the cabin is too much to resist. I still make first chair regularly, but I ski until early afternoon. Then I get lunch in town, at Sarah’s or Izzy’s and bring it back home. It’s great to have access to some snow without competition for tracks. Sunday night NWS was calling for 2-to-4 inches. While I was sure Gore would be skiing sweetly on Monday, especially at the summit, we chose to stay close to home and track up the new snow and get an earlier start heading south. It was great morning, a great weekend really. Fun skiing with ya Harvey! Lies looks epic. Glad to also hear that Neve is OK. We know that being taken out from behind is dangerous, our kids have had too many close calls – hence why we like the woods! 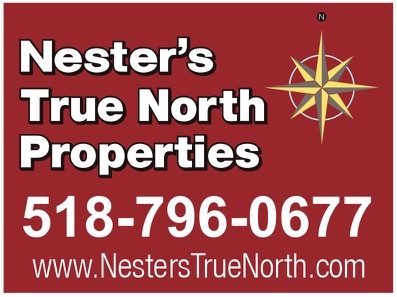 Congrats to Neve (and you)! Sorry about the collision. That stinks. Dude! Glad Neve is ok, and thanks for putting up this awesome report. The light looks so good in your pictures, the daks can be such a dream sometimes. Hope we get to make some turns soon. Sounds like a great time! My middle daughter was taken out on the Arena on Sunday by some woman who just plowed into her from behind. Bruised her tailbone but was more shaken up than hurt. I’ve been taken out 3 times in my 13 seasons skiing. One at Hunter in 04-05, one at Killington in 09-10, and one at Mountain Creek in 13-14. Was hit at Mountain Creek once this season, but managed to stay up and not crash. With the incident at Hunter, I was only 6 years old and my dad took me skiing there for the first time. It was basically my first real mountain. The first run down Hellgate, I was hit hard by a snowboarder and went down. Some other guy yelled at the snowboarder (who just committed a hit-and-run) and my dad was really worried that I was hurt. I didn’t really think anything of it, got up, and continued the run. Hey Harvey, was great to have you along for some exploratory ventures. Sorry to hear that Neve got hit from behind. An issue for sure with minimal terraine to access, holiday crowds and out of control hoopers. Lets get the snow gods working for us and give our region some real snow so we can all be safe in the trees! It’s funny that so many of the comments are focused on that crash. While it scared me while it was happening, Neve bounced up and was ok, so in my mind I let it go. The perp also was very nice and helped us get Neve’s ski back on and didn’t ski off until she was turning again. He said the light was so flat that he was surprised by a bump and lost his balance. On another topic, pretty amazing how fast Gore got Rumor going. Keep it coming. 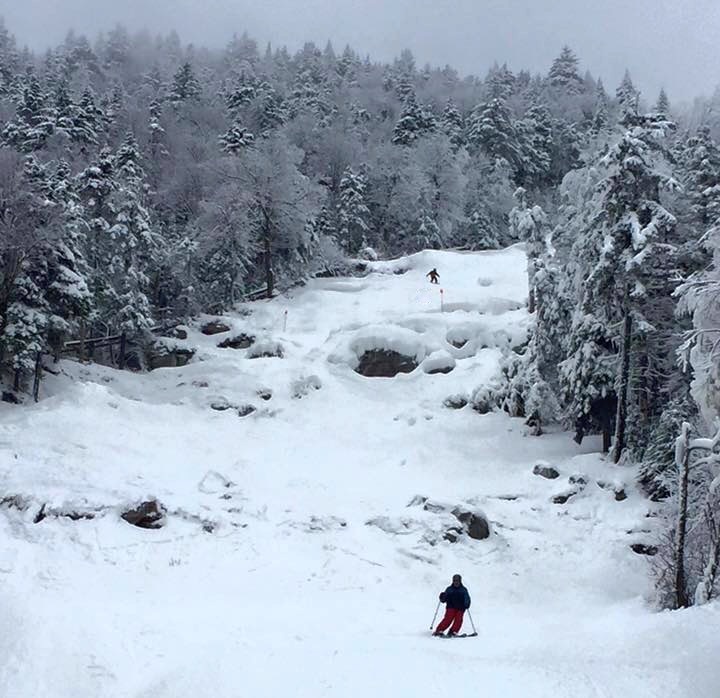 Um, beg to differ here but last weekend was one of the worst I can remember for skiing Gore. Ended up skiing at the Skibowl with the kids for most of the weekend, which was quite fun. Also skinned up Little Gore Sunday morning. No apologies necessary. On Saturday, Hawkeye was crowded for sure and we paid the price. Hard to resist when your kid is pushing you for milestones. First run on Lies was busy but then it cleared out. One of the worst? Not sure about that, but with limited terrain we’ve definitely switched to an even earlier schedule this season. FYI my optimism is notorious. Great to finally meet you St. Jerry! We were also lucky enough to experience Lies in this state. I would say those runs down Lies that day were probably one of the most unique Gore experiences I’ve had and they are surely going down in our record book. A testament to what Lies is and evidence of what it could be, but rarely experienced. A Lower Steilhang of epic proportions. the mountains of the East. 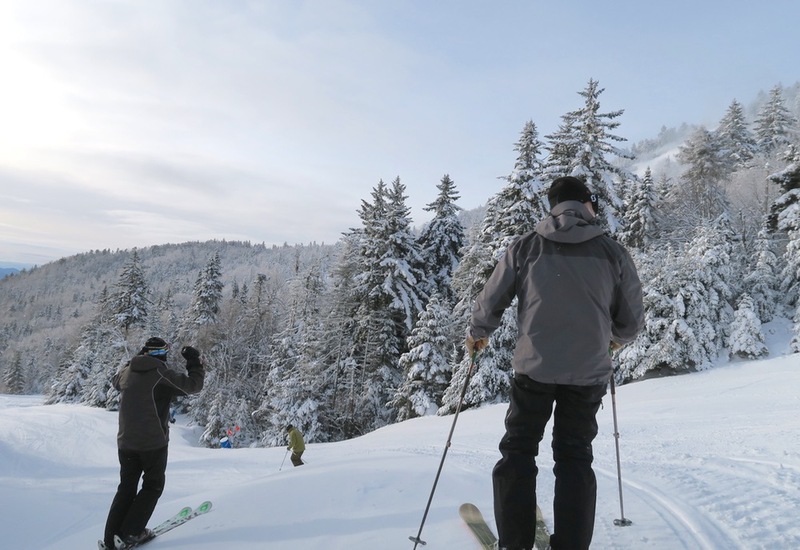 NYSkiBlog is for the rest of us: regular people with a sense of adventure, who love to ski.